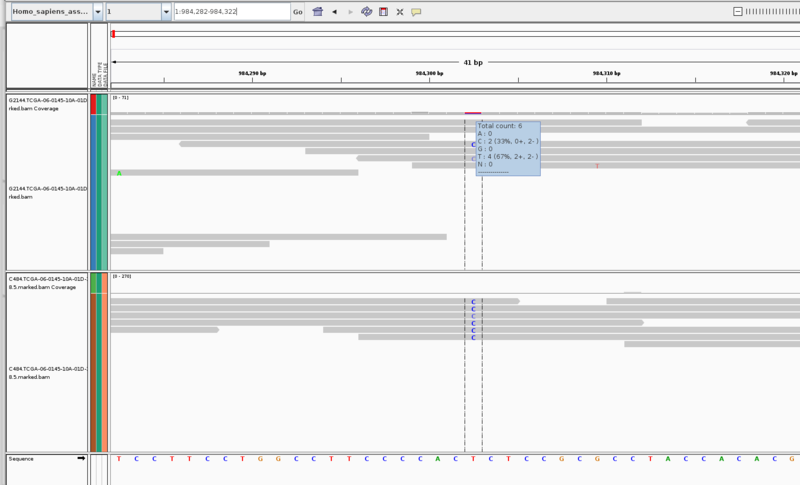 By comparing variants in the VCF file of two samples, which was generated by the GATK HaplotypeCaller (Version 3.5), I recognized that the AD values are not matching with the IGV read counts in the bam file. The ADs are 6,0 (sample 1) and 0,6 (sample 2) whereas the AD of this variants in sample 1 is 4,2 according to the IGV visualized BAM. Do you have any idea why this is the case? Have you looked at the bamout?